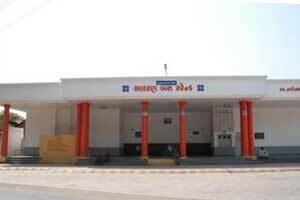 Chh Gam Patidar Samaj. Cha Gam (six villages) is consist of seven villages of charotar are Dharmaj, Bhadran, Karamsad, Nadiad, Savli, Sojitra and Vaso. In ancient time it was defined by English ruler that bride and bridegrom should get merry above villages. The history regarding the settlement of Dharmaj is very ancient some says it was settled by Dharma Rabari and as the story goes that about 850 yrs ago in 1150 A.D., a Rabari by the name Dharmo came along with his family and his cattle and got settled near Khadiyari Talavdi. At that time there used to be a thick forest all around Dharmaj. As such he used to take his cattle for grazing in the forest. And to his surprise one day he found that accidentally when any cow use to graze on the place (where Dharmeshwar Mahadev stands today) the Milk would run away from the cows aanchal on its own. And this began to happen often on regular basis, this aroused the anxiety of Dharma Rabari so he started digging the place, and on excavating, to his surprise he found a Mahadev's Ling. 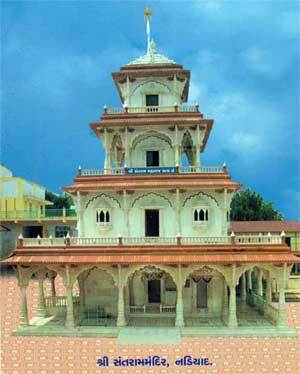 And thus, became the devotee of Lord Shiva and built a small temple at the very place, which today stands in Main Bazar as “Dharmeshwar Mahadev” and later on the land surrounding this place came to be known as “Dharmaj” after his name. Thereafter this village was rehabilitated by Brahmins and Garasia who later on migrated to some other places. Later on, Shri Narshibhai Patel originally from Jargal came to Dharmaj to get settled down. And this, the history of settlement of “Juni Khadki” (at present Sardar Chowk) settled by him is about 850 yrs old. Once again in 1675 A.D. honorable Shri Rangaji Patel from Virol (near Sojitra) came to Dharmaj to get settle and earn his living. And later on his descendents were then divided into four Khadkis (-Vachli Khadki -Kadujini Khadki -Kakani Kahadki -Athamni Khadki) Thus the history of settlement of Kutumb of Rangaji Patel is about 325 yrs old. Also, soon after Shri Bhavanidas Patel (from Virol) migrated from Virol and got settled in Dharmaj and his descendents were paatidars of Solidas and Monardas, recognized as Solidas ni Khadki. Years ago in Padampur, nearly two kilometres away from Bhadran town, there used to live two very strong brothers named Bhadrasur and Aghasur. Majority of the people here were very cruel. They defeated Devas with a power graced by Mahadevji. Agonized Devas prayed mighty goddess Uma and two Shakties’ named Bhadrakali and Ambaji, were created. Bhadrakali and Ambaji killed Bhdrasur and Aghasur respectively so Devas established temples of both Matajis. In due course Padampur was destroyed. In Samvat 1232 (1176 AC) on Sunday the sudi 11(before full moon) of month Vaishakh Bhadrapur later known as Bhadrn and finally as the time passed, today's BHADRAN, was officially formed. Garasia and Patidar communities were the main population. 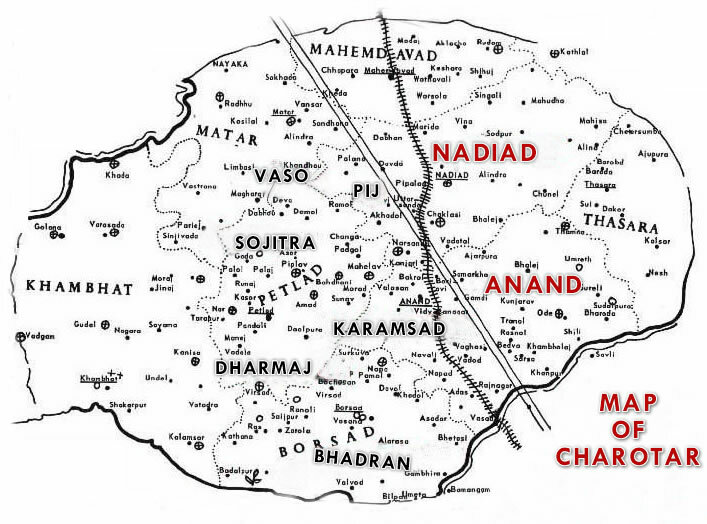 According to the Data in the Family Tree of the Patels of the seven towns, published in 1925 C.E., the first Patel, named Ananda, came from Anklav in Samvat 1415 and lived here. Gradually his generations, as new Patel's used to live and settle with them. From the eleventh generation of four brothers, eldest and the second number named Revandas and Dhanjibhai respectively started to live in a section called Moti Khadki. Third and fourth numbers named Harkhjibhai and Manjibhai, in another section called Nani Khadki. Together with above, now, Bhadran is flourishing with the influx of all different communities with new Patels from different places. Ancient documents and archaeological surveys indicate that Sojitra is an ancient town that has experienced several name changes and been under the control of many different political entities. 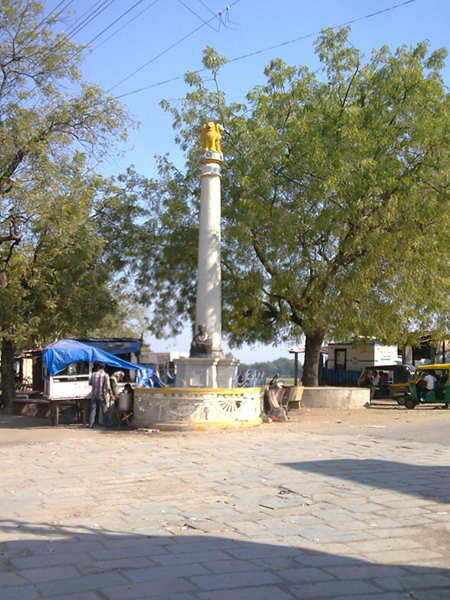 Popular mythology of the area credits the current incarnation of the village as originally being settled by Sojan Rabari and his family, who named it either Sojanpur or Sojatypur. At some point, this was shortened to Soja, which later morphed into the current name. The Patel family has produced a number of individuals who have been influential in the Indian government. In the state of Gujarat, Kamalaben Maganbhai Patel held the position of Deputy Minister of the State; Dr. Thakorbhai Patel was Cabinet Minister of the State of Gujarat; and Ravajibhai Maganbhai Patel served as Secretary of the Gujarat Congress Committee. 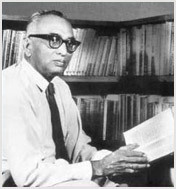 In the state of Bombay, Dr. Bhaskarbhai Patel was the Deputy Minister of the State; and Jashbhai Jivabhai Patel served as the Controller of Iron & Steel. In the national government, Gopalbhai Shivabhai Patel was the Chairman of the Unit Trust of India; and Chimanbhai Patel was the Chief Engineer of the Public Works Department of the Government of India. Karamsad is hometown to a large (& growing) number of non resident Indians (NRI's) Not only do they contribute to the development of the charotar region, they are also instrumental in creating & financing a lot of institutes. Do you have a list for matrimonial and also how can I get my name added to the list? We are building free charotar matrimonial in which it will help to find their partner of charotar. Thanks for your patients. i am from DHARMAJ .